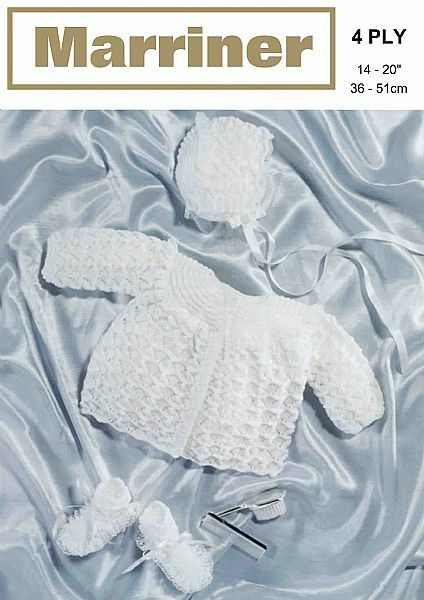 This lovely matinee coat set is knitted in 4ply which creates a delicate feel and lightness in weight. A lacy design for that precious baby. Hooks required 1 pair size 3 1/4mm (UK10-USA3) knitting needles or the size of needles to give correct tension. Stitch holders. Lace. 3 buttons for Matinee Coat. Ribbon for Bonnet and Bootees.